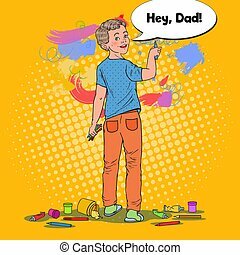 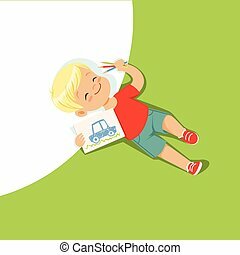 Cute little boy sitting on the floor and drawing with color pencils on the wall, back view, young artist, kids activity routine vector Illustration on a white background. 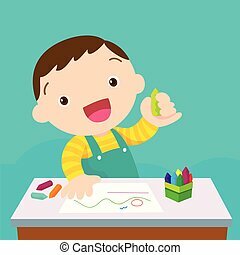 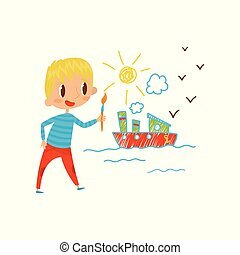 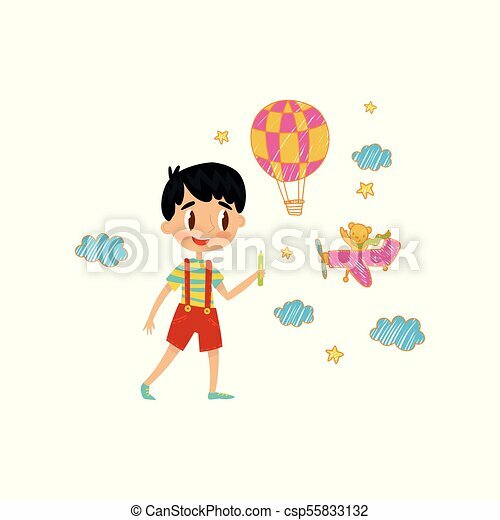 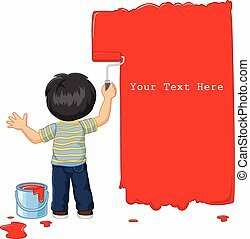 Cute little boy painting ship with color paints and brush on the wall, young artist, kids activity routine vector Illustration on a white background. 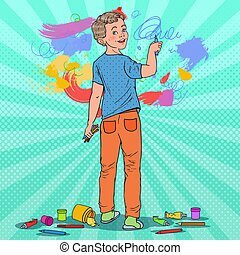 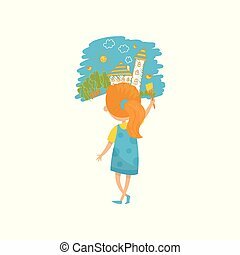 Cute little girl painting with color paints and brush on the wall, back view, young artist, kids activity routine vector Illustration on a white background. 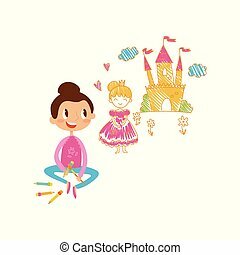 Lovely little girl sitting on the floor and drawing castle and princess with color pencils on the wall, young artist, kids activity routine vector Illustration isolated on a white background. 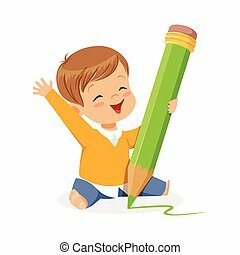 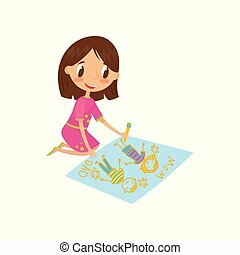 Cute little girl sitting on the floor and drawing with color pencils on the large sheet of paper, young artist, kids activity routine vector Illustration isolated on a white background. 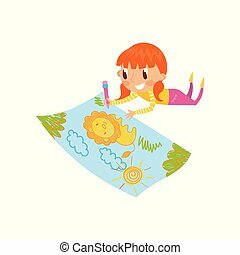 Cute little girl lying on her stomach and drawing with color pencils on the large sheet of paper, young artist, kids activity routine vector Illustration isolated on a white background. 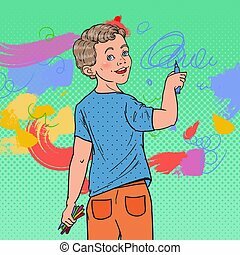 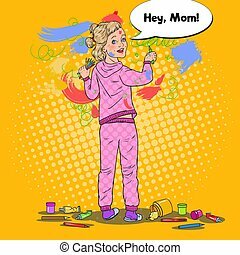 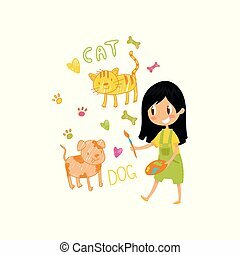 Lovely little girl painting animals with color paints and brush on the wall, young artist, kids activity routine vector Illustration on a white background. 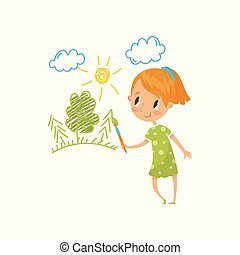 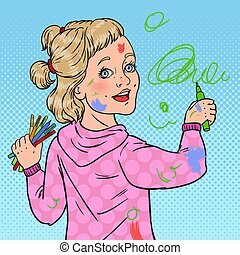 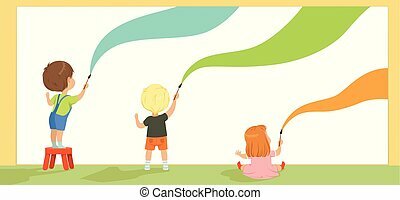 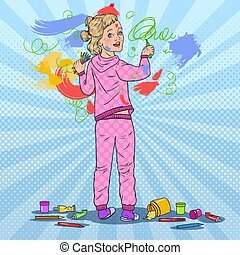 Sweet little girl painting nature with color paints and brush on the wall, young artist, kids activity routine vector Illustration isolated on a white background. 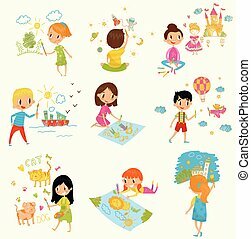 Cute little boys and girls drawing with color paints and pencils set, young artists, kids activity routine vector Illustrations isolated on a white background. 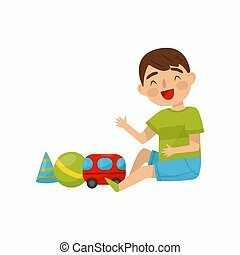 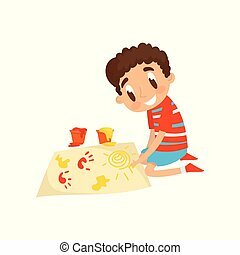 Cute boy sitting on the floor playing with toys, kids activity, daily routine vector Illustration isolated on a white background. 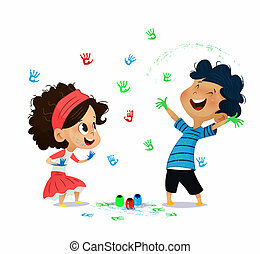 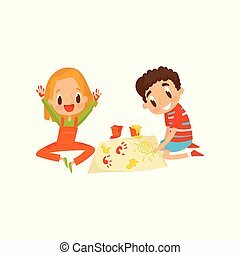 Cute little boy and girl sitting on the floor and painting with colorful handprints, education and child development concept vector Illustration isolated on a white background. 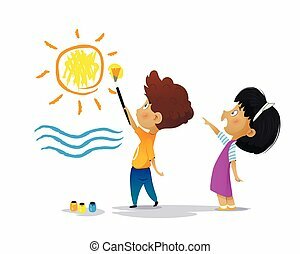 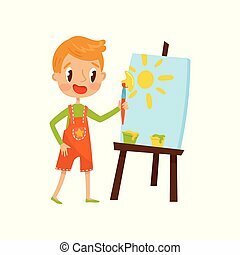 Cute little boy painting sun on an easel, kids creativity, education and development concept vector Illustration isolated on a white background. 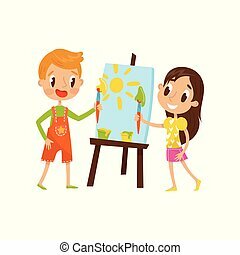 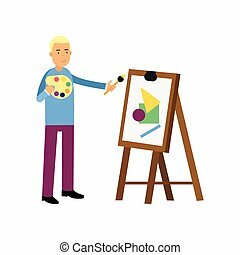 Cute little boy and girl painting on an easel, kids creativity, education and development concept vector Illustration isolated on a white background. 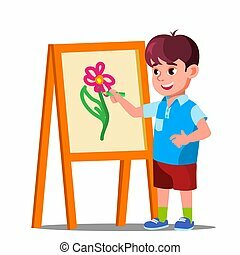 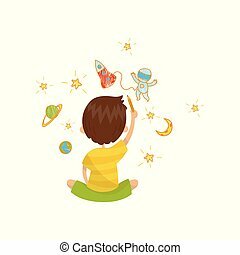 Cute little boy sitting on his knees and painting with colorful handprints, education and child development concept vector Illustration isolated on a white background.